The death of John Lennon 35 years ago still reverberates as a defining moment for a generation and for the music world. 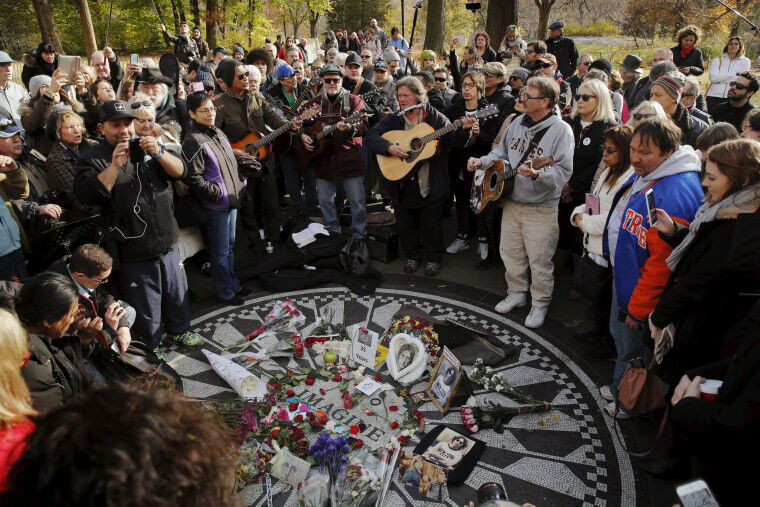 A man who helped define rock and roll, a leader of the peace movement, an icon of the Baby Boom generation, his sudden shooting death at the hands of Mark David Chapman inspired shock and mourning, and for many marked the end of an era. Chapman was sentenced to 20 years to life in prison and was last denied parole in August 2014. "I am sorry for causing that type of pain," Chapman told the parole board then. "I am sorry for being such an idiot and choosing the wrong way for glory." Chapman can try again for parole next year. At a 2010 hearing, Chapman recalled that he had considered shooting Johnny Carson or Elizabeth Taylor instead, and said that he chose Lennon because the ex-Beatle was more accessible, that his century-old apartment building by Central Park "wasn't quite as cloistered."